From cars to houses, sharing is a new trend. Now there is a new way to share classical music – it starts with a host that provides the venue and musicians that are willing to play. In the center of this new sharing system, there is flutist, Sooyun Kim. 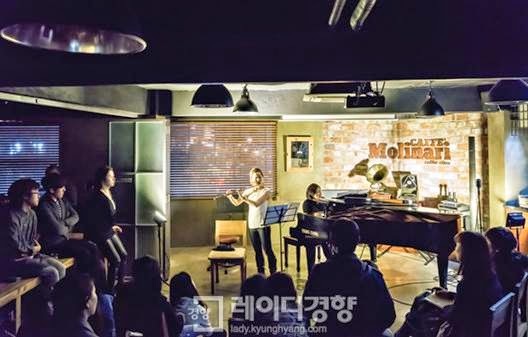 In the evening of November 29th, there was a Groupmuse scheduled at Caffe Molnari near Namsan Tower in Seoul. Groupmuse is an online community started by a group of young people in Boston. 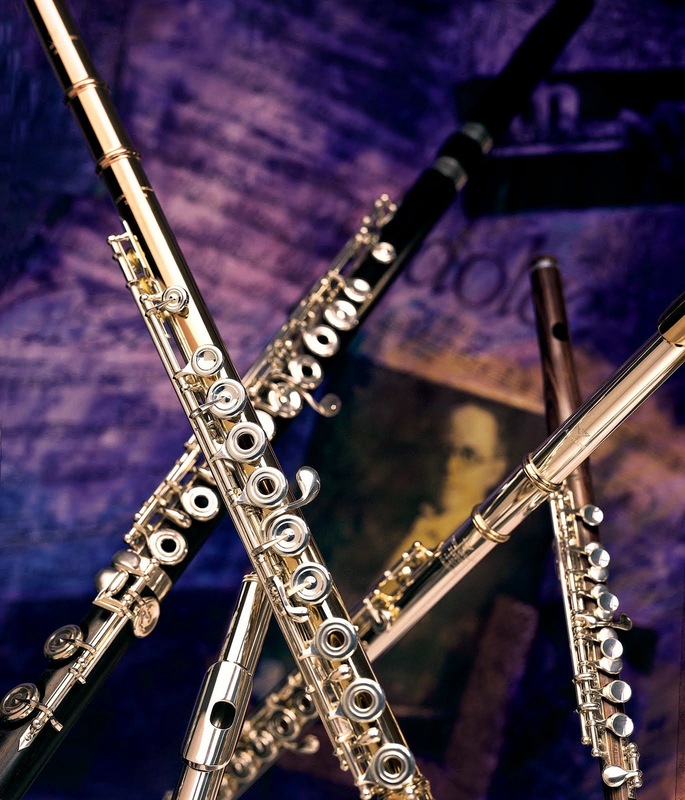 They created in hopes to bring classical music closer. All Groupmuse events are scheduled, organized and promoted through the Groupmuse’s website (www.groupmuse.com). Once the host requests to host an event, Groupmuse helps to pair available musicians in the area. It can be done in any city of the world for any group of people. This kind of spontaneity makes each Groupmuse event even more attractive. This evening’s party was organized by flutist Sooyun Kim, who introduced Groupmuse to Korea on her trip to Seoul. Upon invitation from Mr. Hyo Kang and International Sejong Soloists, Ms. Kim was on her first recital tour in Korea. Groupmuse started out of love and passion but its operating system is efficient and straightforward. Hosts provide venues for free and collected donations from guests get evenly distributed amongst musicians. Still a slightly foreign concept in Korean culture, but it has spread widely across the United States with increasing popularity. General vibe of the event was very relaxed. Guests were greeting each other and conversing over a glass of wine. Some people enjoyed listening to musicians warming up before the concert started. Here, there was no sense of strict formality expected in classical music concert. Perhaps, because this is a form of online social network, everybody seemed so friendly with each other. There were small children sitting on the floor and people were sitting shoulder to shoulder from each other experiencing the close reverberation of sound coming from musicians so close by. Kim, as Prelude from J.S. Bach’s Cello Suite No.3 started, took a seat amongst the audience. Most concerts are done as means for marketing. However, musicians at Groupmuse created a sense of closeness with audiences by explaining the pieces being performed. Their added insights and thoughts enhanced the listening experiences to a much higher level. The pianist talked about the love of Tristan and Isolde prior to his performance of Liszt’s transcription of Wagner’s opera Tristan and Isolde. 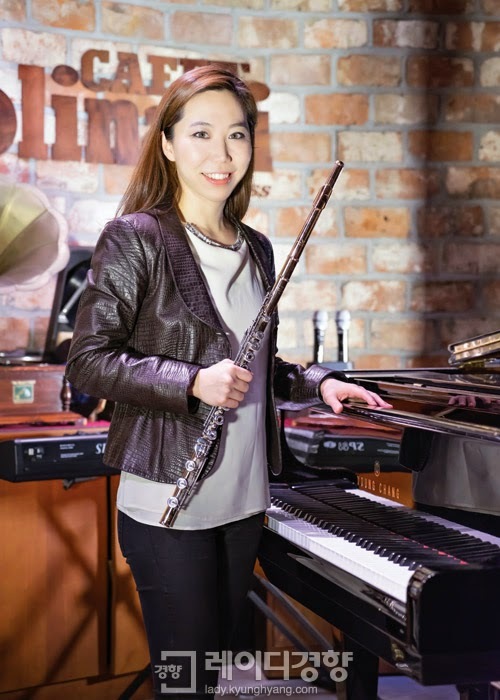 Leading an interesting and diverse career as a solo flutists, Sooyun Kim made her prize-winning debut with the Seoul Philharmonic Orchestra at age 10, and went on to receive Sir Georg Solti Foundation’s Career grant and became the first Korean ever to win a top prize at the Munich ARD International Flute Competition. Many young flutists ask her for advice. As much as the concept of experiencing music in someone’s living room seems appealing, it is still hard to imagine playing a concert in a small one bedroom apartment. “The smaller the spaces, the better it gets!” After the concert, audiences were thankful for the small size of the café which helped to create more cozy atmosphere. The close physical distance closed in the gaps in the listening experience as well. There was no wall between the performers and the audience, listeners felt every breath and every bow stroke. Even the listeners felt that they were being active participants in the music making. At Groupmuse, listeners and performers were of equal importance.